Click the image and learn about Welcome Blanket On Call. We want you to join us! 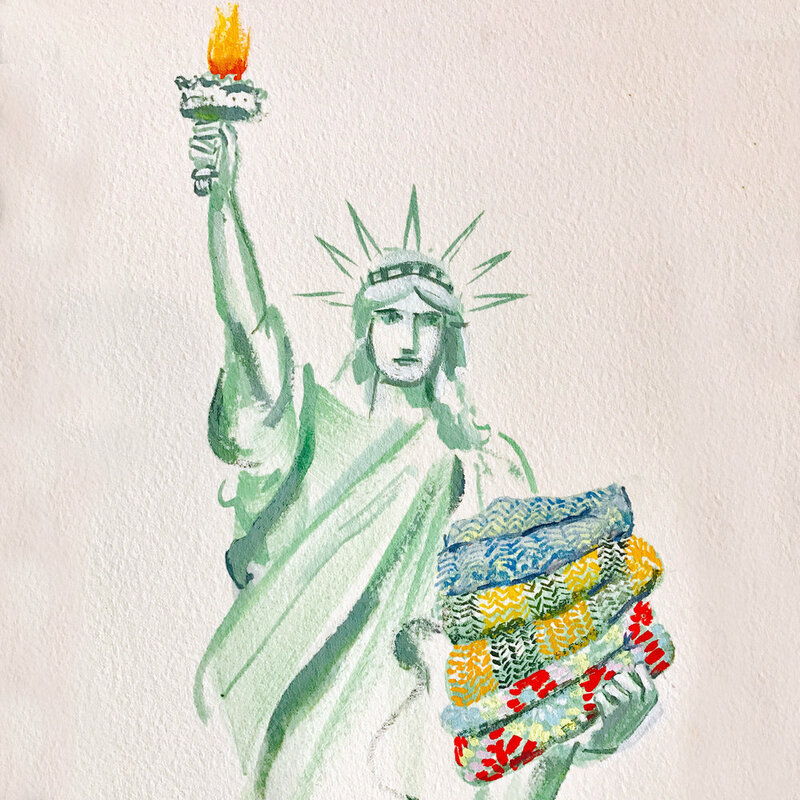 Make a blanket and share your story as a gift to a new immigrant to the United States. If a 40”x 40” throw blanket averages 1200 yards, Welcome Blanket requires about 3200 blankets to reach 2000 miles of length. The blankets you make, along with your enclosed notes, will be displayed together in an inaugural show at the Smart Museum of Art at the University of Chicago beginning July 18 through December 17. After the show's close, the blanket packages will be distributed to refugees and other immigrants through resettlement organizations. Thank you for being part of the Welcome Blanket Project! To print out our flyers, posters, welcome note templates, etc, click HERE. To find a local yarn store near you already allied with the project, click HERE. For the "Come Together" blanket pattern (you are welcome to use this pattern or any pattern of you choosing) in knit, crochet and quilting, click HERE. When you have completed your blanket, please write your note and sign up on our newsletter. We have pop-up host locations. Don’t worry! We are moving forward, the project is continuing, we just need to make sure we have an appropriate place to receive and store your wonderful gift of welcome.